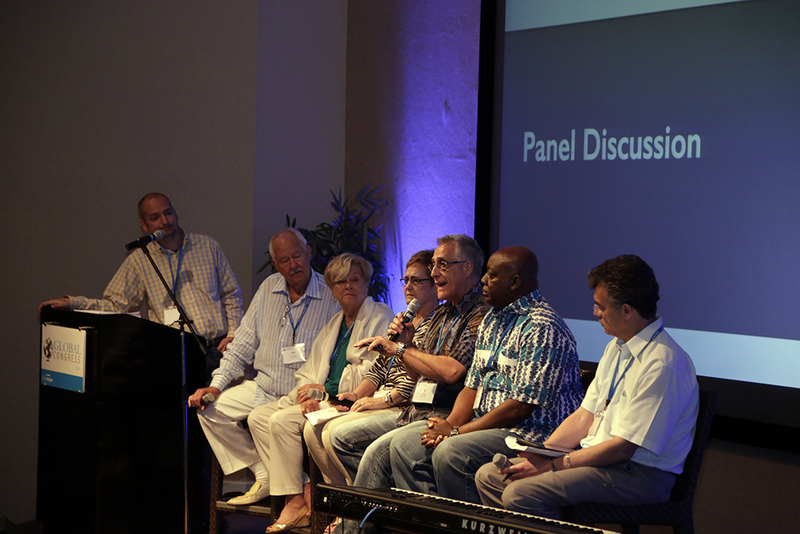 At a Global Congress of worldwide ministry leaders, we held a panel discussion (above) featuring 6 missions and ministry veterans representing well over 200 years of experience. I marveled as they freely shared their expertise and wisdom with the current up-and-coming generation of leaders in attendance. Catalyst’s Brad Lomenick sat down with my friend, Senior Pastor Craig Groeschel, to discuss the similarly unprecedented length of ministry tenure of the LifeChurch core leadership team. I echo many of Craig’s leadership insights, and cannot stress enough how critically important it is to surround yourself with leaders you can trust and who are team players. In Patrick Lencioni’s organizational leadership book The Advantage: Why Organizational Health Trumps Everything Else in Business, he talks about the importance of assembling and maintaining a cohesive leadership team. And by “cohesive,” he’s not talking about stacking the team with yes-men and clones. Paradoxically, cohesive looks more like hiring people who are diverse, smart, experienced and skilled in fields or ways that are very different than you are. When God places intelligent, experienced people on your team, there’s a good chance someone else is going to notice. And invite him or her to leave your team and join another. One of the biggest leadership challenges today is retaining these power players. I have to agree with Craig that effective leadership looks a lot less like controlling and a lot more like delegating. If you don’t let those who are called and qualified to lead, they’ll go somewhere else to fill that need. We agree yet again that when we unleash our people to experiment with their creativity, amazing things happen. Some of the most incredible and effective tools and programs were birthed in our OneHope Innovation lab. Have others seen these successes and tried to hire away our creatives and developers? Yes, they are constantly being recruited. But, like LifeChurch has done with someone like a Bobby Gruenwald, who builds and sells tech companies, we are simply empowering our people to create what God puts on their hearts. It gives me so much freedom to realize that it’s not by any greatness of my own doing that we have a “dream team” here at OneHope. It is by prayerful consideration and wisdom in selecting the right people who are trustworthy, giving them the freedom to create what God has laid on their hearts, and allowing them the space to lead and take credit for the things that they have done. We have only to cultivate a spirit of unity displayed in harmony as we work together, rather than spend our time trying to demand uniformity.